One week after their lost final in Melbourne, the duo of Rupesh Kumar and Sanave Thomas went one step further as they clinched the New Zealand title in Auckland on Sunday. 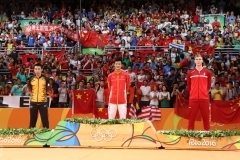 The career high and first Grand Prix title was an ideal way of preparing their home World Championships. Last week, Rupesh Kumar and Sanave Thomas (photo) were sent packing with their tails between their legs after a poor performance against Tan and Gan of Malaysia. That was the Australian Open final. But a few days later and 1500 km east, they took their revenge on the Malaysians in the semi-final of the New Zealand Open in straight games as well. And in the final, the Indians, top seeds, were facing Japan’s Hashimoto and Hirata, 4th seeds of the event. After a rather good start in the first game which they won 21-16, the Indians went down in the second 15-21, but the third game was a one sided story with an 11-1 lead for a starter. 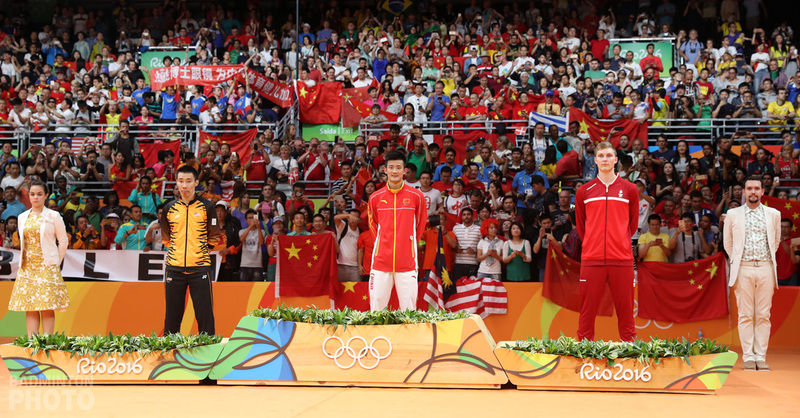 The Japanese then couldn’t narrow the gap and let go 13-21, giving Kumar and Thomas their best result ever – a title in a Grand Prix event. This win is a career high for the two players, who started playing as a pair from 2004 onwards. They had been runners-up twice previously in Grand Prix events (Australia last week and in the Dutch Open in 2008) and were semi-finalists in the Bulgarian Open. But they never stood atop the podium at such a high profile tournament (their other successes where India Satellite in 2005 and 2006 and the Volant d’Or in France, in 200 4 before their last victory in Croatian Open last year) and this comes certainly as a great sign for the weeks to come, especially with their home event, the World Championships, just around the corner. This will definitely be a boost of confidence before their first match scheduled against Japan’s Hayakawa and Kazuno, the compatriots of their victims of the day. 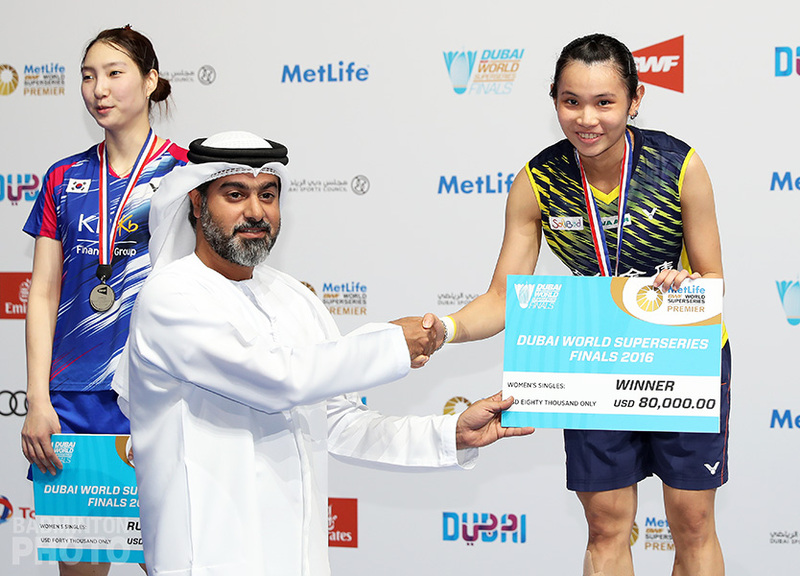 Sayaka Sato (photo) avenged her compatriots in the ladies’ singles when she stunned Maria Febe Kusumastuti 21-10, 21-16 in less than half an hour, signing her best tournament so far. The 3rd seed from Japan, who was runner-up to Saina Nehwal in last year’s World Junior Championships, didn’t drop a game after the first round and looks like the woman to watch in the future. 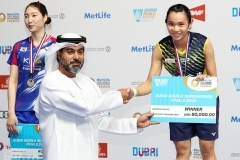 Indonesians also got their share of glory when they scooped two titles, in the women’s and mixed doubles. Agustine and Wahyuni beat Hong Kong’s Chan/Ying while Kurniawan/Bernadet beat favourites Wiratama and Chau in straight games. 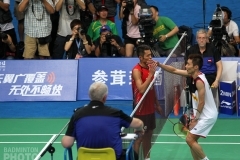 Hong Kong did still get gold in the name of Chan Yan Kit, top seed and victor over his compatriot Wong Wing Ki, 21-9, 21-9. 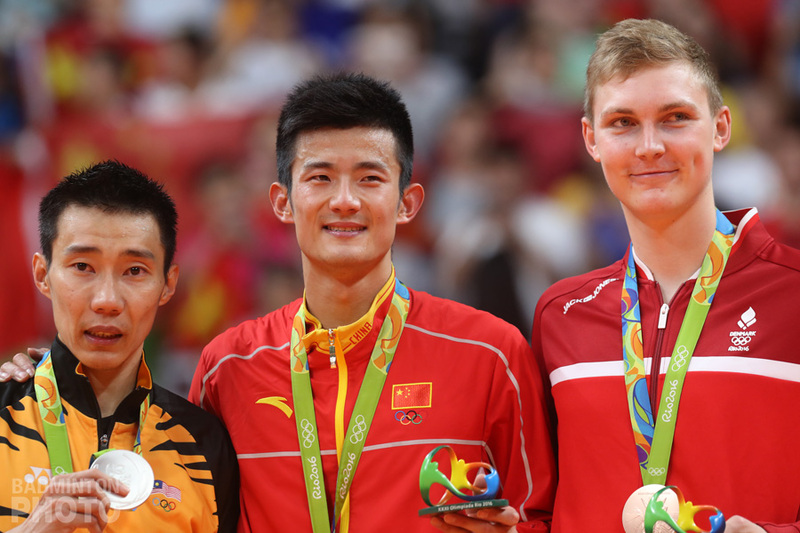 It was Chan’s third straight Grand Prix tournament in the rather unfamiliar territory of the top seeded position but after bowing to unseeded upstarts the first two times out, he made no mistake this time, cruising through the draw without ever spending more than half an hour on court.